Kerrigan finished the 2018 season with 43 tackles (30 solo) and 13 sacks in 16 games. 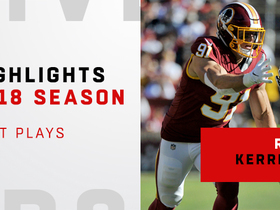 Analysis: A 16-game starter in each of his eight NFL seasons, Kerrigan reached double-digit sacks for a third straight year and now has 84.5 in 128 career games. There may be some major changes coming in Washington, but the 30-year-old should be safe in 2019 for the penultimate season of his five-year, $57.5 million extension. Given the current contract standards for top pass rushers, Kerrigan might consider asking for an extension or renegotiation that increases his compensation for 2019. Kerrigan recorded a sack in Saturday's loss to the Titans. Analysis: Kerrigan had a relatively slow day Saturday, with his sack qualifying as his only sack. He's enjoying another great season rushing the passer in 2018, compiling 12.0 sacks through 15 games, leaving him just 1.5 sacks short of tying his career high. He'll look to finish off the regular season strong in Week 17 against the Eagles. Kerrigan recorded six tackles (five solo), two sacks and a forced fumble across 46 defensive snaps in Sunday's win over the Jaguars. Analysis: Kerrigan was elected to his third-straight Pro Bowl on Tuesday night after a dominating performance in Sunday's victory. He now has 11 sacks on the season to go along with 41 tackles. Kerrigan will look to wreak havoc on the Titans this Sunday in a pivotal showdown with major playoff implications. 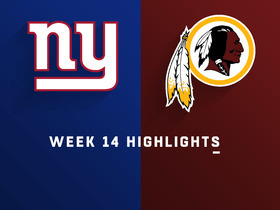 Kerrigan had six tackles (four solo) and a sack in Sunday's 40-16 loss to the Giants. Analysis: Though the Redskins didn't do much to stop Eli Manning and the Giants from dropping 40 points on them, Kerrigan was one of the lone bright spots on the squad. He earned his ninth sack of the season, while his six tackles were a season high. He'll hope to keep it going against a lackluster Jaguars' offense on Sunday. Kerrigan recorded four tackles (one solo), including 0.5 sacks, in Thursday's loss to the Cowboys. Analysis: Kerrigan has posted at least 0.5 sacks in six of the past eight games, totaling eight sacks over that span. His tackle numbers are down on the season but he's been a consistent threat as a pass rusher. He'll aim to continue his strong play in Week 13 when the Redskins face off against the Eagles. Kerrigan recorded two tackles (one solo), including a sack, in Sunday's loss to the Texans. Analysis: Kerrigan is on pace for one of the worst seasons of his career as far as tackles go, as he's only recorded 21 through 10 games. However, he's been his usual self when it comes to rushing the passer. His sack Sunday gives him 6.5 on the season. Kerrigan will look to maintain his momentum as he and the Redskins take on the Cowboys in Week 12. Kerrigan recorded two tackles (both solo), including a sack, in Sunday's loss to Atlanta. 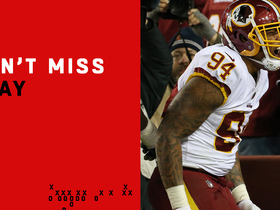 Analysis: Kerrigan has put together a few solid games in a row, posting 4.5 sacks over the last three weeks. Looking ahead, he and the Redskins will face off against the Buccaneers in Week 10. Kerrigan logged four total tackles and 1.5 sacks during Sunday's 20-13 win over the Giants. Analysis: Kerrigan has recorded 3.5 sacks in his previous two weeks and will attempt to keep up his streak against a struggling Falcons' offensive line in Week 9. The veteran's recent sack totals have put him back on the IDP radar, despite Kerrigan accumulating consistent weekly tackles. 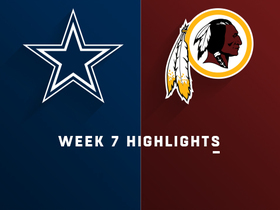 Kerrigan recorded five tackles (four solo), including a sack, one pass defensed and a forced fumble in Sunday's win over the Cowboys. 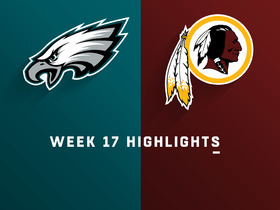 Analysis: Kerrigan's two sacks Sunday give him three on the season. He started the year off slow, but he appears to be returning to form. Although his numbers are down this year, he'll be an IDP candidate if he can return to the quality of play that he's had in seasons past. Looking ahead, he and the Redskins take on the Giants in Week 8. Kerrigan accumulated three tackles and a sack during Monday's 43-19 loss to the Saints. 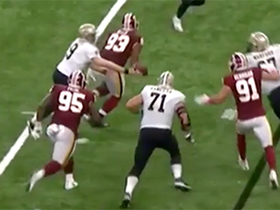 Analysis: Kerrigan was able to bring down Drew Brees for his first sack of the year, which comes as a bit of a surprise considering the linebacker posted 24 sacks over the last two seasons. He'll look to keep it going against the Panthers in Week 6. Kerrigan started Friday's preseason game against the Broncos but didn't record any statistics on 15 snaps. Analysis: A quiet preseason isn't any concern for a player who has logged at least 7.5 sacks in each of his seven NFL seasons. Kerrigan averaged just 40.3 tackles the past three seasons, but he's never missed a game and remains a strong bet to hit double digits in the sack department. Kerrigan recorded 46 tackles (34 solo), 13 sacks, three forced fumble and one interception returned for a touchdown across 16 games this season. 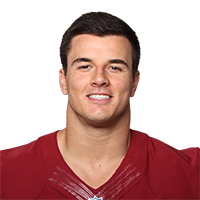 Analysis: Kerrigan was selected to his second-straight and third overall Pro Bowl after another season anchoring the Redskins' defense. His 13 sacks tie him for fourth-best in the league and his 46 tackles were the most since the 2014 season. Kerrigan will be 30 heading into next season, but the linebacker has showed no signs of slowing down over the past few years, as the veteran logged 822 defensive snaps during this past season. Kerrigan (calf) is active for Sunday's game against the Giants in New York. Analysis: Kerrigan recorded two of the four sacks of Eli Manning in Week 12, but the Redskins' sack leader may have a more difficult time felling the long-time Giants starting quarterback. As evidence, Manning has only been sacked three times in three games since retaking the reigns of the offense in Week 14. Kerrigan (calf) is listed as questionable for Sunday's game against the Giants. Analysis: Kerrigan was added to the injury report as a non-participant Thursday but was able to progress to a limited participant Friday. The veteran linebacker appears on track to be available for the season finale despite the questionable tag. Kerrigan (calf) did not practice Thursday. Analysis: Kerrigan is simply nursing a sore calf and doesn't seem to be in danger of missing Sunday's season finale against the Giants. Kerrigan had four tackles (three solo) and two sacks in Sunday's 27-10 win over the Broncos. Analysis: The pair of quarterback takedowns were Kerrigan's first since Week 12. The 29-year-old now has 44 tackles on the season, the most he's tallied since 2014. He needs 2.5 sacks in Week 17 against the Giants to tie his career high of 13.5. Kerrigan recorded a sack in Sunday's overtime loss to the Saints to bring his season total up to seven. 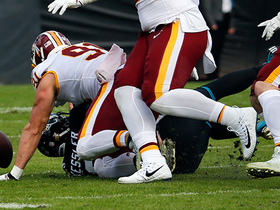 Analysis: Kerrigan also added four solo tackles to his line on the day. His sack was the first since Week 8, when he recorded two against the Cowboys. The veteran outside linebacker played 55 snaps (77.0 percent) this past week. 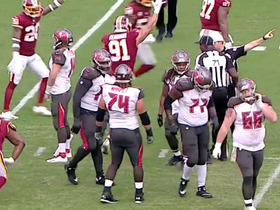 Washington Redskins linebacker Preston Smith sacks Tampa Bay Buccaneers quarterback Ryan Fitzpatrick. During the sack Washington Redskins linebacker Ryan Kerrigan punches the ball and forces a fumble on second-and-goal. Washington Redskins linebacker Ryan Kerrigan strips Dallas Cowboys quarterback Dak Prescott at the goal line, and the ball is recovered for a touchdown by Redskins linebacker Preston Smith. 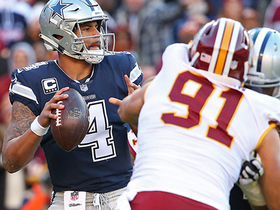 Washington Redskins linebacker Ryan Kerrigan swarms Dallas Cowboys quarterback Dak Prescott for a first down sack. New Orleans Saints quarterback Drew Brees catches his own pass unintentionally after it was deflected by Washington Redskins linebacker Preston Smith. 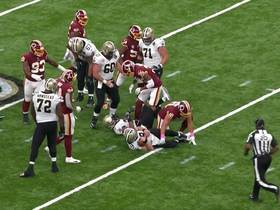 Washington Redskins safety Montae Nicholson was pentalized for shoving New Orleans running back Mark Ingram after Washington Redskins linebacker Ryan Kerrigan sacks New Orleans quarterback Drew Brees.